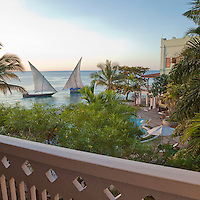 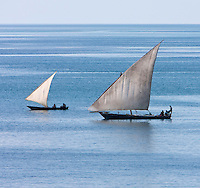 Editorial stock photos Zanzibar dhow construction sailing lateen sail Ras Nungwi images photography photographs. 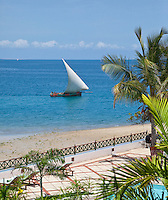 Zanzibar, Tanzania. 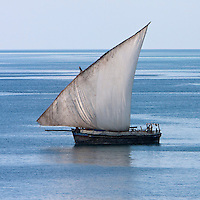 Dhow in Harbor, Lateen Sail.